The 4-star Novotel Belfort is situated in the town center, 5 mins from the Lion of Belfort and close to several major companies (GE, Alstom, PSA). It is easy to reach being 3 mins from the A36, 15 mins from the TGV station and 45 mins from Basel-Mulhouse Airport. 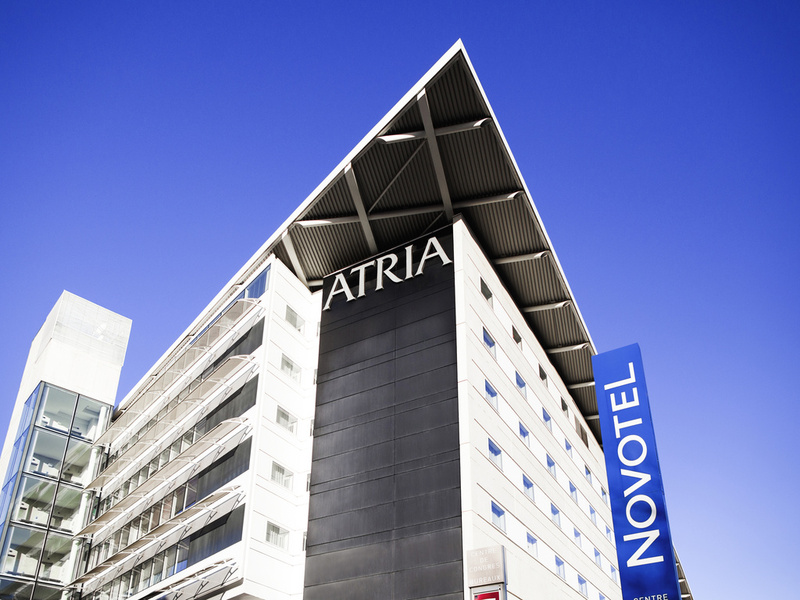 The hotel has an ATRIA conference center for meetings for up to 1000 people. Cultural and tourist attractions include Eurockéennes, Fimu, Peugeot museums, Axone theater, Bonal stadium and Europa Park an hour away to make your stay unforgettable. The spacious, contemporary and perfectly modular Novotel room is a true living space and can be adapted to suit all requirements. Each of our rooms measures 269 sq. ft. (25 sq. m) and has free WIFI and adjustable air conditioning. Feel like a VIP in our Executive Rooms with free minibar, Nespresso coffee machine and other features aimed at your wellbeing. All personal mycket trevlig och tillmötesgående. Middagen var mycket god!! Frukost OK. Ventilationen på rummet inte så bra, men säng och badrum mycket bra. Hotellrummet och gymet var jättefint. Maten var supergod. Det enda som var lite dåligt var att det var så varmt på rummet fast jag satt ner värmen så mycket jag kunde.